Today is so beautiful and sunny, I want to emulate this Summery, sunshiny day with O.P.I's, My Twin Mimmy. My Twin Mimmy is a bright (yet a smidgen deep) sunshine yellow, with a creme finish. Yellow nail lacquers are a fun way to amp up your manicure. 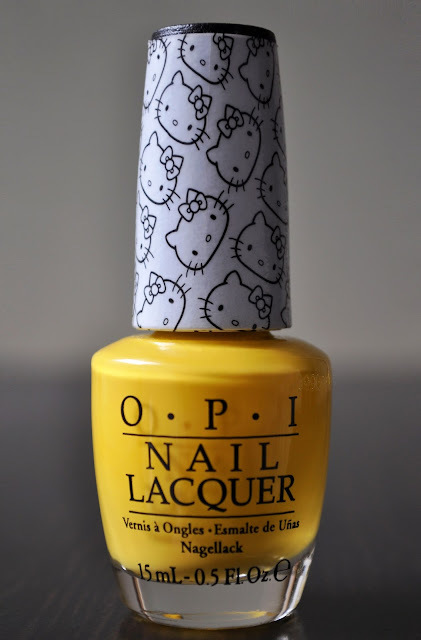 However, as with most of my yellow polishes, My Twin Mimmy's formula is not without its faults. The consistency is thick, goes on streaky and patchy, which then requires three to four coats to correct all blemishes. The last time I wore My Twin Mimmy, I believe I got 3 to 4 days off wear. I bought a lot of the pink polishes from this collection. I wish I could wear yellow but it makes me look jaundiced! Love the colour on you though! Lol, don't you know jaundice is the new black :P I got a few more shades from this collection, and I love them all! Wow... this color is so pretty :) Great post! Thank you Ritu B. Also, thank you for the link, following you now. 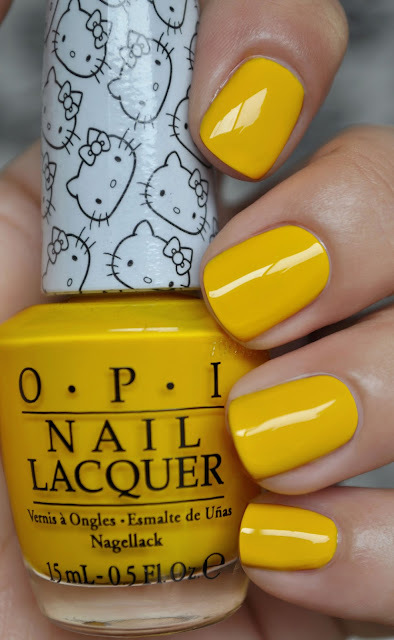 Formula of yellow nail polishes have often issues, it is beautiful on you though!